Just two days ahead of its release, the much-awaited film of 2017, Singam 3, has been postponed again following the recent outbreak of violence during Jallikattu protest in Tamil Nadu. 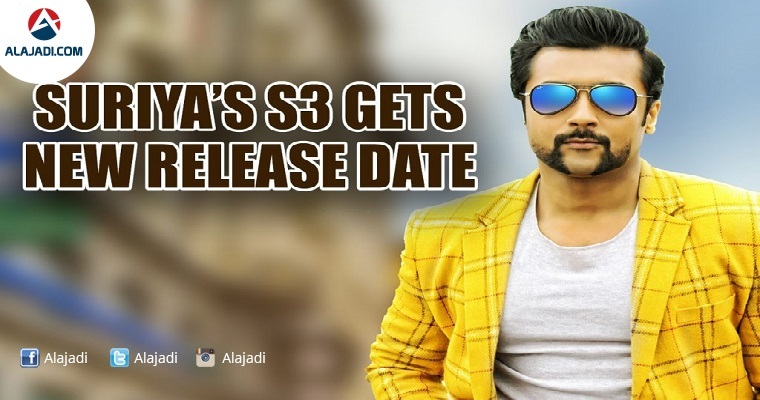 Although the makers initially denied postponing the Singam 3 release, they have now issued an official statement explaining the rationale behind changing the release date for the fourth time. Tamil people living in Tamil Nadu and around the world are saddened and their sentiments are deeply hurt. Now people have started to agitate in streets to condemn the act of police and the police have initiated lathi charged the protesters. S3 is the sequel to the film Singam 2 (2013) and the third film in the Singam (2010) franchise. It is directed by Hari and Produced by Gnanavelraja’s Studio Green. In January 2017, the film was re-titled from S3 to Si 3 to exploit the Tamil Nadu Government’s rule of entertainment tax exemption for films titled in Tamil. Suriya will return as the honest and righteous khaki-clad hero Durai Singam and will fight crime on an international scale. The film also stars Shruti Haasan, Anushka Shetty and Thakur Anoop Singh. The music is composed by Harris Jayaraj. Singam 3 film is dubbed in Telugu as Yamudu 3 which will be released along with Tamil version. Now Suriya film will clash with Natural Star Nani’s Nenu local which is releasing grandly on the same day. Let see which movie will impress the audience of Telugu States. An official announcement on the release date will be out soon.